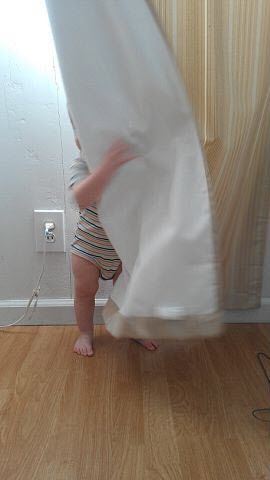 Parker thinks hide and go seek is great fun, however he hasn't perfected his hiding skills. He only hides for a few seconds and never manages to get his entire body hidden before he pops out and screams. I have tried unsuccessfully to get him to just stand still. This is my latest attempt...epic fail.